When I saw these Leather Deerskin Scrap bags in the store, I knew I wanted to play with them a little bit. There are lots of irregular sized pieces of soft deerskin in a wide array of colors. I broke out my sewing supplies and used a self-healing mat and rotary color to quickly cut them into uniform pieces. I attached 19mm ribbon end clamps to the end of my leather strips and then added lots of fun beads and charms to decorate them. 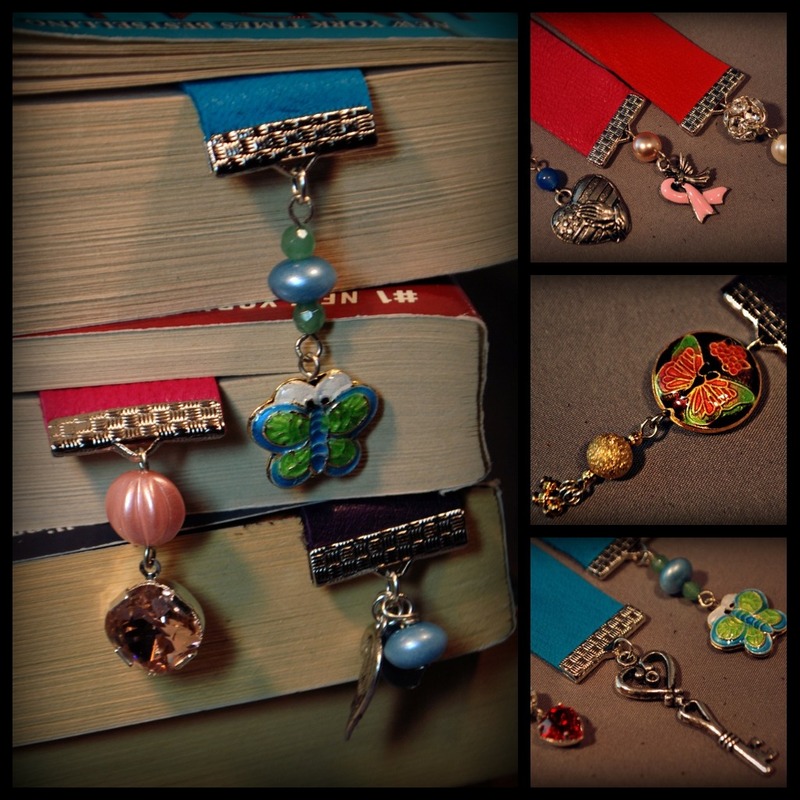 These bookmarks are quick and easy to make and can easily be tailored to anyones interests. I even made a Seahawks themed one for my husband! These are super super cute! Great idea!